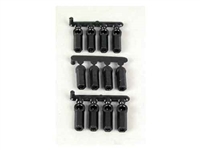 These heavy duty rod ends are made from injection molded black nylon and fit on Associated or Losi .168 suspension balls. 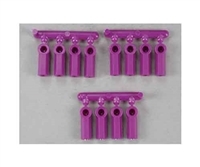 These heavy duty rod ends are made from injection molded purple nylon and fit on Associated or Losi .168 suspension balls. 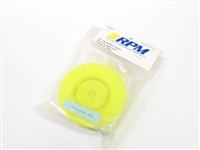 By making it possible to set the toe in accurately and consistently, RPM's toe in gauge allows the racer to get more predictable steering. 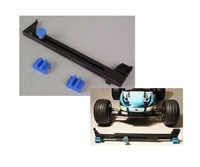 The toe in gauge is molded from black plastic, and will work on all 1:10 scale cars and trucks (using included standoffs). 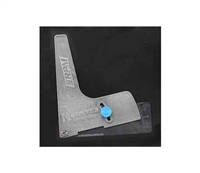 This is used to adjust the camber angle on most current 1:8 scale Buggy/Truggy or Monster Truck.